Because of my bounty, I became creative with my recipes. One great one I found was one I learned while with my daughter. 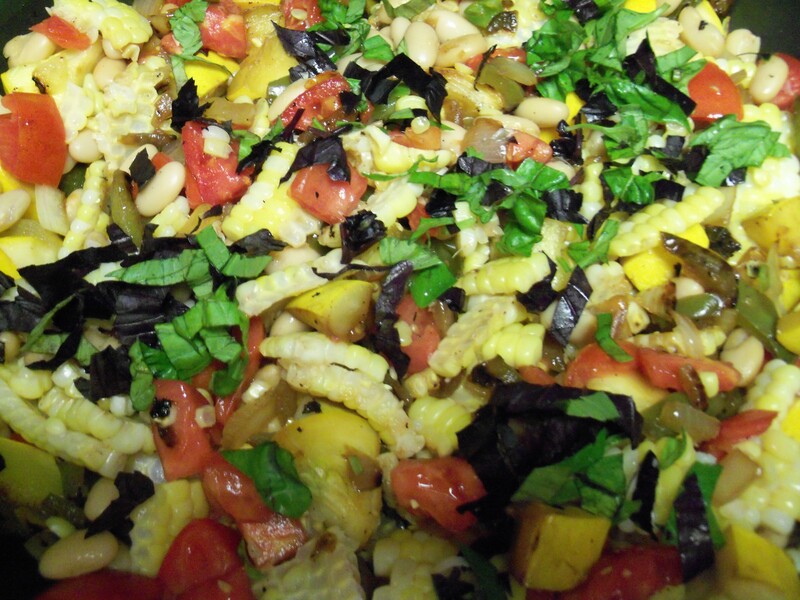 We were attending a Stonewall Kitchen Cooking class with celebrity chef Sara Foster while on vacation in Maine this summer.The dish was Summer Succotash and it used a variety of seasonal vegetables. This was not the succotash I grew up with that was bland and boring. This one was bursting with flavor and was cooked al dente. 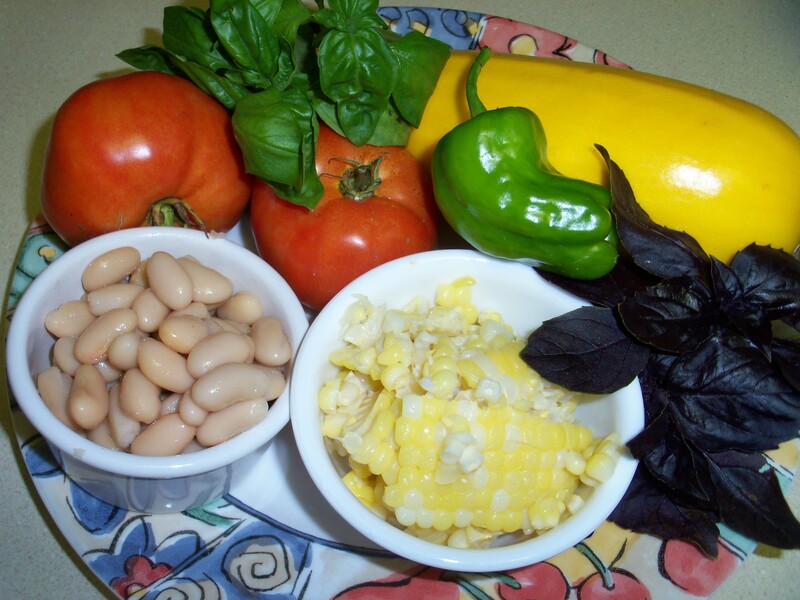 (Click to enlarge) Ingredients were fresh-cut corn, beans, summer squash, tomatoes,onions, peppers and fresh vegetables. Quite delicious and good left over. Google for full recipe.